Dr. Molly Catherine Bordelon and Dr. Justin Brett Stanford were united in Christian marriage at Rayne Memorial United Methodist Church in New Orleans, Louisiana, on Saturday, May 31, 2014 at a 6 p.m. ceremony officiated by the Reverend Callie Winn Crawford. 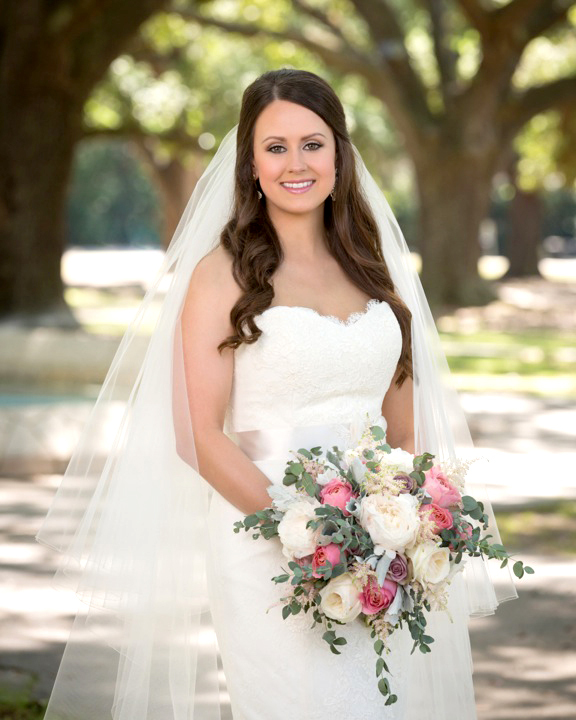 The bride is the daughter of Mr. and Mrs. John Wesley Bordelon of Lafayette, Louisiana. She is the granddaughter of Mr. and Mrs. Robert Lee Green, Jr. of Broussard, Louisiana, Mrs. Frances Bordelon of New Orleans, Louisiana, and the late Mr. Vernon Paul Bordelon. She is a graduate of Saint Thomas Moore High School in Lafayette, Louisiana; Louisiana State University in Baton Rouge, Louisiana and Louisiana State University School of Dentistry in New Orleans, Louisiana, where she received a Doctorate of Dental Surgery. She is currently an associate dentist in Gainesville, Florida. The groom is the son of Mrs. Cathy Rector Stanford and Mr. and Mrs. Robert Landon Stanford of Bossier City, Louisiana. He is the grandson of Mrs. Otis Rector Jr. of Hall Summit, Louisiana, and the late Mr. Otis Rector Jr. and Mrs. David Platt Stanford of Marble Falls, Texas the late Mr. David Platt Stanford. He a graduate of Parkway High School in Bossier City, Louisiana; Louisiana State University in Shreveport, Louisiana and Louisiana State University School of Dentistry in New Orleans, Louisiana where he received a Doctorate of Dental Surgery. He is currently an Oral and Maxillofacial Surgery resident at the University of Florida in Gainesville, Florida. The bride was attended by her maid of honor and sister, Kate McCormick Bordelon and matron of honor and sister, Olivia Bordelon Michel. Bridesmaids were Emily Granen McGee, Bethany Joy Petersen, Farris Hart Foyil, Kaitlen Gayle Sicard, Lise Murrell Huddleston, and Katie Dianne Ellis, all friends of the bride. Ryan Scott Juneau, a childhood friend of the groom served as best man. Groomsmen were Randy Lee Alexander, Jeremy Damon Brown, Nickolas Stanley Maskas, Philip Edward McCann, Patrick Logan McGee, all friends of the groom, and Benjamin Charles Johnson, childhood friend of the bride. Ushers were Stephen Charles Michel, brother in law of the bride, Marc Duane Escalona, Christopher Cody Fontenot, and Ansley Collin Robinson, all friends of the bride. Serving as scripture readers were Alice Emling Johnson, Audrey Broussard Thompson, and Erin Russell Green. Greeters were Mary Beth Broussard McElligott and Mary-Frances Meade Neuner.